Here is a first for The Solent Restorative Partnership as Sue from PMS and Jo from NFSM deliver Restorative Training to delegates from Southampton and Portsmouth. 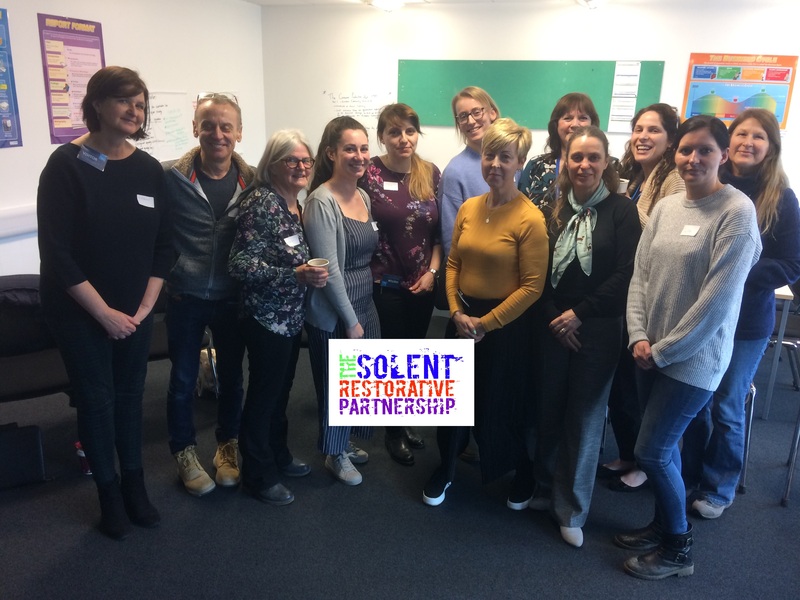 The Solent Restorative Partnership (SRP) is the operating name of a working alliance between Portsmouth Mediation Service (PMS) and NFS Mediation (NFSM). The SRP aims to promote and deliver a range of restorative services to people living and working within the Solent area, build a restorative relationship between the unitary cities of Portsmouth and Southampton and to establish the Solent Restorative Partnership as an independent voice and restorative force within the Solent and Hampshire. Previous: Previous post: PMS to help Host City Wide Restorative Conference.